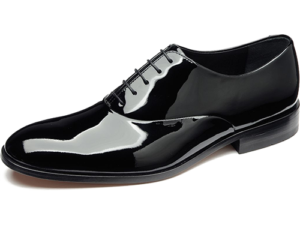 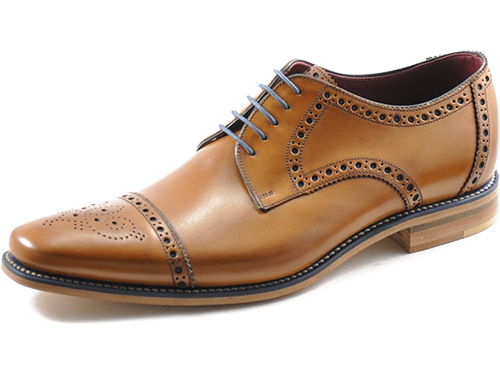 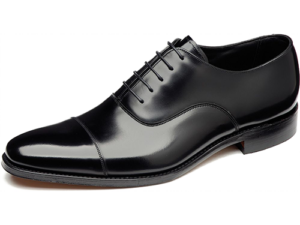 Stylish Semi Brogue derby shoe, made using the ‚Ridge‘ last shape. 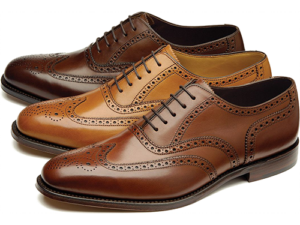 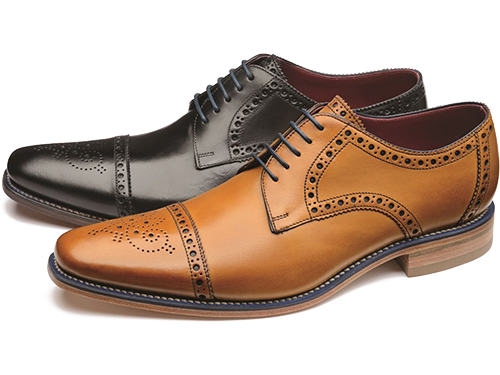 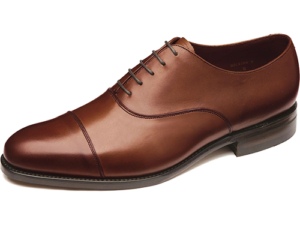 Foley is available in tan or black calf leathers, and features a contrast blue welt. 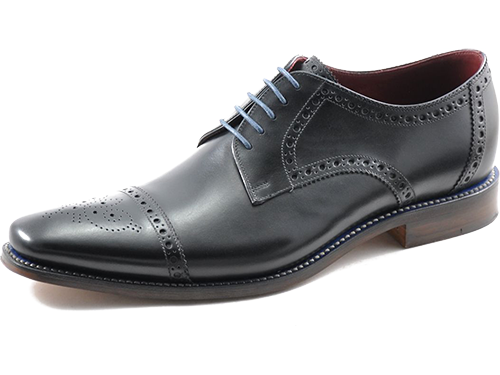 Foley is handcrafted in India.